The white island is essentially making people talk about it in the summer by hosting thousands of partygoers who come to have fun for 4 months at Amnesia or Pacha. Ibiza does not make much noise out of high season, and it’s a shame because the island is not only party and excess, the month of April is the proof. Ideal for a small visit of the island before the arrival of tourists in May, the month of April welcomes every year all kinds of people of all ages. The goal: to disconnect! Too long considered sleepy, the month of April is now sold as relaxing. More and more tourists arrive earlier on the island to enjoy a total disconnect. Ibiza before the high season invites to let go in a deep calm. The climate in Ibiza in April is very pleasant, the days are getting longer and the temperatures allow already outdoor activities. 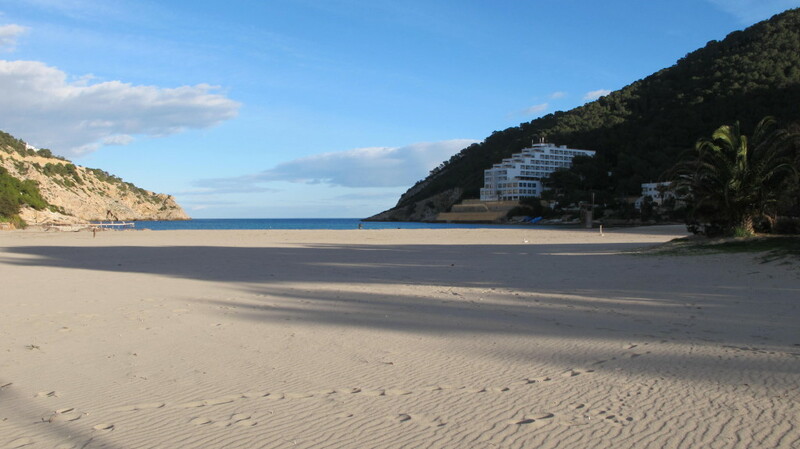 Discover the meaning of the word freedom by walking on deserted beaches, from Cala d’Hort to Cala Salada in the West, and from Cala Sant Vincente to Cala Llonga in the East. Breathtaking landscapes await you there. The inland is just as beautiful, with the arrival of spring discover the fruit and vineyards that slip between two houses. From Eivissa to San Miguel or from San Miguel to Antonio. Find the psychedelic colors of the hippy market of Es Cana, in a more relaxed atmosphere than in summer. Take the time to chat with the artisans about their original creation, you will learn a lot about hippy culture. Party lovers, the month of April doesn’t forget you and give you an appointment in the capital Eivissa where you will always find animation near the port with the clubs STK, B12, Sushi Point, Veto, … and even Pacha! Book now your all-inclusive holidays in Ibiza for much cheaper rates than in high season.